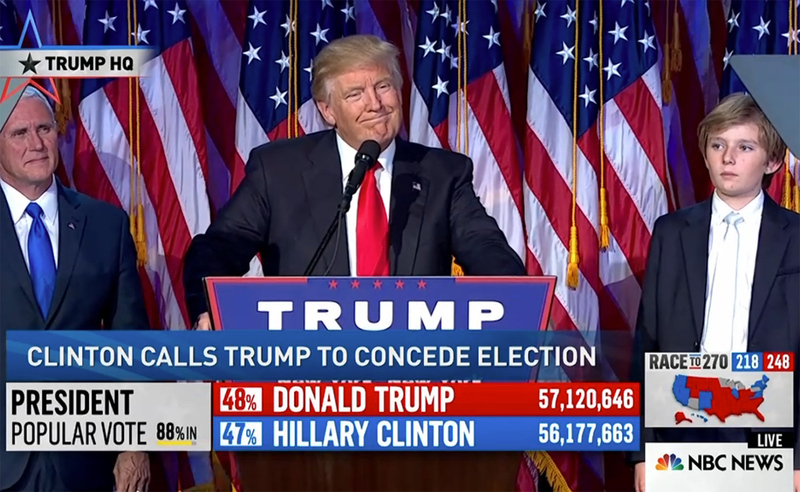 The HotTopic this week is of course, Donald Trump's victory, with over 350 million Weibo media impressions, 150 thousand discussions. It was naturally the number one topic, and fascinated Chinese people. During the campaign, the Chinese Netizens were very supportive of Trump largely because he was perceived as such a maverick always speaking his mind, being a bit crazy and reaching a HotTopic basically every time he spoke! The Chinese people also did not like the way Democrats were handling relations between the two countries. Now that he is elected, we can see on the Internet that the general feeling is very different. The Chinese people are now slightly worried about the way he is going to handle the relationships between USA and China, and the way this will have an effect on China's economy. It was fascinating to see this shift in perception, and understand that the Chinese supported him earlier because no one really thought he would actually be elected! It was simply not credible in the eyes of the Chinese because he is the total opposite of what Chinese perceive politicians should be like. There were lots of funny pieces of content that appeared on the Internet. Now as you know, all the flags used by Hillary Clinton and Donald Trump during the election were made in China. So there was the boss of a flag factory in China, who said that people should have listened to him rather than the polls, since he knew for a fact that he produced many more flags for Trump than for Clinton! The HotBrand this week is an ugly brand according to Chinese Millennials. It's a clothes brand called 'HLA', from a Chinese province. They were just doing the wrong things, being completely disconnected with young people. The clothes, models, layouts, and attitudes were just wrong. On top of all that you could feel that the brand were quite proud of what they were doing! What is interesting is that they actually managed to change the perception in one campaign. Similar to H&M who make fashion designers work on their brand, they hired a cool and young Chinese designer, Xander Zhou to make a special collection of sweaters. The campaign, the models, attitudes and clothes are great! 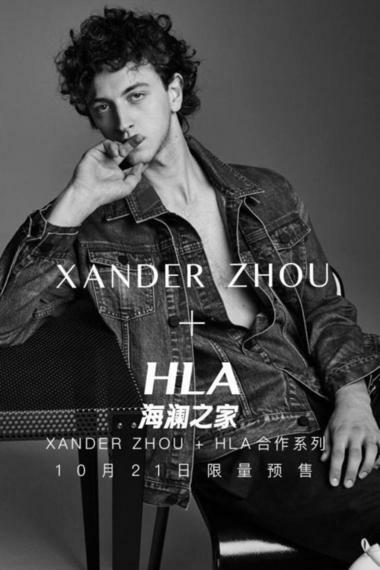 We could see pictures on the Internet of people lining up on the streets in front of HLA shops to buy this collection. The comments on Internet were fascinating. Young people were just very enthusiastic and suddenly loved the brand. For example, there were comments such as: "I hated this brand, and now love it". We know that this generation is not at all faithful to brands, but it gives us hope that the opposite is also true. They can completely dislike you, but you can win their hearts again with one campaign! The HotPost this week is a very creative music video by a Chinese singer called Jane Zhang. She is a pop singer who released a new single in English with Timbaland called, 'Dust my shoulders off'. A Chinese director shot the music video, in which you see the singer on the phone in a museum. She appears to be having a conversation with her boss, with the boss yelling at her. She suddenly disappears from reality, a bit like in Alice in Wonderland, appearing inside the paintings. We see her going through 12 different pieces of art, from Edward Hopper to Van Gogh. It's really interesting and extremely creative, mixed with elements from pop culture like 'Men in Black' or Mike Tyson biting off his opponent's ear. The comments were very interesting, as we know that the young generation expects China to produce original creation. They don't want China to copy, but to innovate, which is what we have here.